This outrageously designed bag comes in a unique leaf cutting shape which tantalizes many viewers with awe. 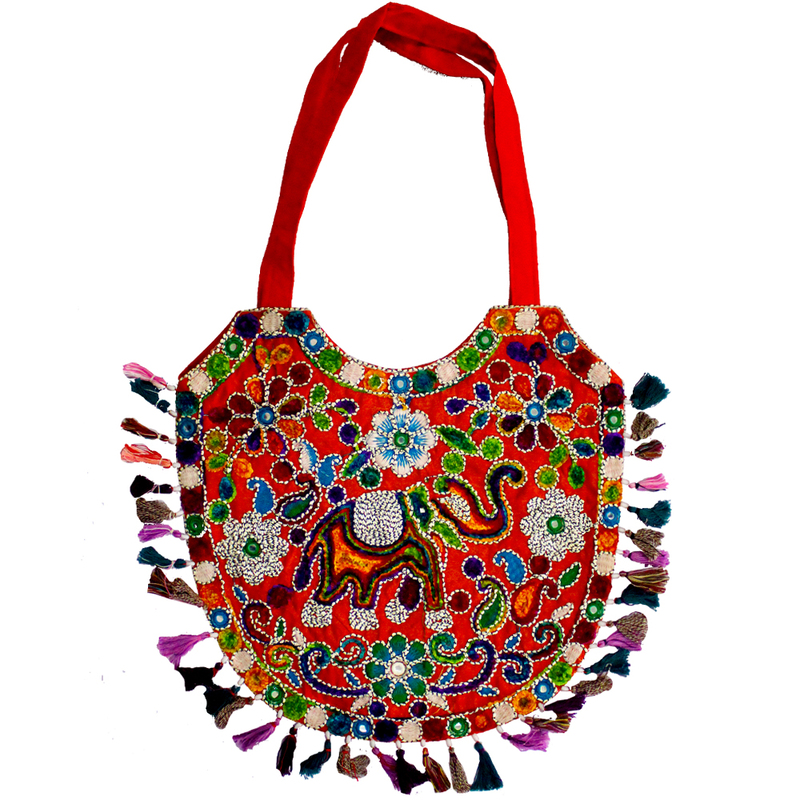 This multi-colored product has an elephant image detailed Read More..with heavy embroidery work all over. It has a long handle making it a go-to for party days as well as simple hangouts! Show Less..